Terence Winch was born in New York and is the author of three books of poems, The Drift of Things (The Figures, 2001), The Great Indoors (Story Line Press, 1995), and Irish Musicians/American Friends (Coffee House Press, 1985). 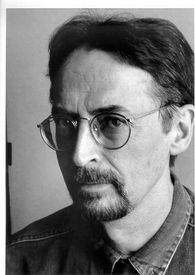 His work appears in several anthologies, including Best American Poetry 1997, and magazines such as The Paris Review and The American Poetry Review. Do you have any comments, criticism, paraphrasis or analysis of this poem that you feel would assist other visitors in understanding the meaning or the theme of this poem by Terence Winch better? If accepted, your analysis will be added to this page of American Poems. Together we can build a wealth of information, but it will take some discipline and determination.